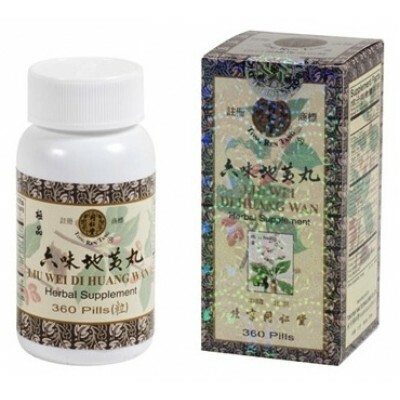 A classic foundation prescription to nourish kidney, liver, spleen yin while tonifying kidney and spleen qi. Use for symptoms including weakness or pain in the lower back, restlessness, insomnia, burning in soles or palms, mild night sweats, dizziness, sore throat, impotence and high blood pressure due to kidney yin deficiency. May be taken for long periods of time. Ingredients: Prepared rehmannia root, cornus fruit, moutan root bark, dioscorea rhizome, poria fungus, alisma rhizome, honey. Made by Tong Ren Tang, Beijing, China. Directions for Use: Take 30 pills, twice a day with warm water, once in the morning and again in the evening. Contents: 360 pills per bottle.